This mod is an official plugin for SimpleCore API, and as such the API is required. Machines is a small plugins that adds back the Mythril and Onyx furnaces that were removed from SimpleOres 2. They operate exactly as they used to. The Mythril Furnace has a customisable (2x by default) multiplier on fuel burn time, meaning the furnace will burn for twice as long on the same amount as fuel in comparison to the vanilla furnace. 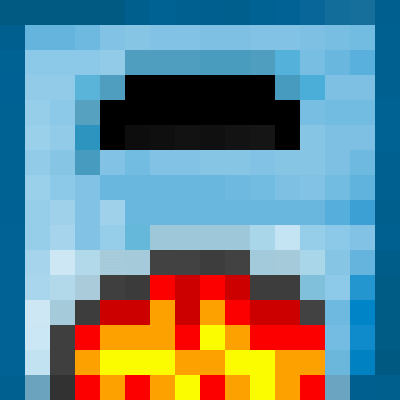 The Onyx Furnace has a customisable (33% by default) chance to produce extra ingots on each smelt. The extra amount produced is also customisable (it produces 1 extra ingot by default). More machines may be added to this plugin in the future. All machines can be disabled using the XML config. Heya, I'm using SimpleOres and Machines on my server, but every time I place a Mythril or Onyx Furnace, the server crashes, and I can't go back into that world without either restoring a backup or removing the furnace in MCEdit. I appear slightly confused about the settings for the onyx furnace. For a long time I thought it actually doubled the output. But now that I check back it just merely adds +1 instead. Is that on purpose? It doesn't so much make a difference for vanilla stuff, but in a modpack there are a lot of receipes where 1 item in a furnace give more then 1 item as output. For example tinkers construct congealed slime blocks will melt down to 3 slime channels. I thought by putting them in the onyx furnace I would get double, 6, but I got 1 extra which made it 4. Was this the best way to code it? Was this on purpose? Have you ever given scenarios such as these a thought? That was the way AleXndr originally designed it. Yes, it is intentional. I am not sure of the reasoning, but I think part of it is that these are more like "Vanilla+" mods, rather than a powerful tech mod package. It gives you stuff that is slightly better than vanilla, or fills in gaps (like armor between iron and diamond, and between leather and iron). It's not meant to compete with the likes of EnderIO or Thermal Expansion. I believe AleXndr had/has plans for machine upgrades to make them more powerful/efficient, but my priority has been porting and maintenance. I've re-implemented things that I know were supposed to be working from the documentation, but never got implemented in 1.7.10 or 1.8, or that I know were working way back in 1.6.4, but were broken in later versions, but I haven't added anything much new. It was updated back in April. Machines 1.10.2 and 1.11.2 use the same jar. that's the problem. Anything in the modpack with 1.10.2 in it's name will make others not work, I've tried and than mobs stopped working. I just tested it in Machines_v1.1.1.8 and it still does not heed the 100% I set it to. It sticks to 33. The config line is "<YieldChance DataType="@I" Default="33">100</YieldChance>" I am quite sure that should be the correct way of putting it? That is correct. This is puzzling, as I tested it myself. If the 100 setting is working, you should be getting double normal output (that is, 100% of the time, you get an extra ingot, assuming YieldAmount is set to 1). Are you running 1.10.2 or 1.11.2? Is YieldAmount set to 1, not 0? Did you make sure the config file wasn't somehow set to read-only? Have you tried removing the old config file, letting a new one generate, and editing the new one? I am running 1.10.2, and yield amount is not changed. I already tried to have it reload a new config and that didn't make a difference. It is also not set to read only. I am very puzzled at this! It just sticks to what it should do if I hadn't changed the 33! Can you post a log (fml-latest.log, I think) of one short launch (start up, shutdown) of the Minecraft instance that is not behaving to Gist or PasteBin and notify me? Also, could you post a copy of the XML config files you are using for SimpleOres/Netherrocks/etc to the same? Well, I am also testing it with only 8 ores, but you can see it soon enough. It does work properly now, thank you very much for spending so much time chasing after a 'minor' bug and fixing it so fast!